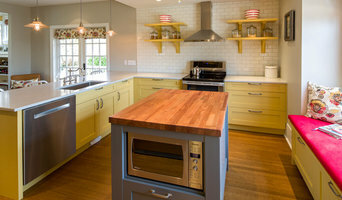 At Persaj Countertops, we bring first in class service and craftsmanship to your projects. We are committed to providing full service solution of design and execution for custom build projects. Uncompromised quality, outstanding customer service and reliability are the hallmarks of Instyle Tilecraft since 1997. This commitment is reflected in all Instyle's work, creating beautiful living spaces both indoor and out throughout the Lower Mainland, BC, Alberta and the Yukon Territories. Stan Pawella has a rich history in tile, with over 30 years' experience in tile installations including; mosaics, glass, limestone, travatine, marble and granite. A third generation tile setter from master tilers in Germany and the Netherlands, Stan is also a certified Bisazza glass tile installer. Our company provides custom tile and stone services "Installing largest tiles with attention to smallest details"
3D-Tile-Design is specialized in designing and building luxury, high-end customized Bathrooms, curbless and barrier free steam showers including all types of linear shower drain installations, as well as kitchens and fireplaces. We provide complete solutions, from the initial design through the installation process, for all kinds of tile work. Our company has more than 30 years of experience in installing all types of tiles, mosaic, granite, marble, stone slab and masonry as well as tiling heated floors, balconies, patio terraces, outdoor steps and pools for residential, public, and commercial construction projects. To accomplish our outstanding, long-lasting, and worry-free tile installations, our company utilizes the newest European technology and applies it to conform to local regulations and building codes. Continually improving his skills and knowledge, Bertram regularly attends updating courses in the latest techniques of tile setting. 3D-Tile-Design are certified installers for Wedi, Luxelements, Schluter, Gutjahr and other types of high end waterproofing systems. 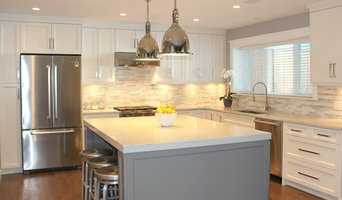 We are also a BBB Accredited Business: <a rel="nofollow" target="_blank" href="http://www.bbb.org/mbc/business-reviews/tile-restoration/3d-tile-design-bertram-tasch-in-maple-ridge-bc-1265634">http://www.bbb.org/mbc/business-reviews/tile-restoration/3d-tile-design-bertram-tasch-in-maple-ridge-bc-1265634</a> We also design and manufacture 3D-CAD photo-realistic tile plans for interior and exterior tile work such as bathrooms, kitchens, fireplaces, hallways, balconies, terraces, lobbies and more. To create the tile designs and plans, we use a special 3D-CAD design software. This software allows us to present photo-realistic images and photo-realistic 360° previews of our current planning during all phases of the construction process and even virtual tours of a client's future bathroom as he or she chooses different designs and layouts. As our customer you have an active influence in planning and designing your tile work. We can create your future bathroom, kitchen or any other room in your home as you provide your ideas and guidance to fashion a perfect design to suite your needs. We will advise you on the best material to use, and what options to consider in order to avoid future problems. Thank you for taking the time to visit our profile and for your interest in our work. Your comments and suggestions are greatly appreciated. Yours sincerely, 3D-Tile-Design - Bertram Tasch. Phone: (778) 886-9503 e-mail: houzz@3d-Tile-Design.ca <a rel="nofollow" target="_blank" href="http://www.3D-Tile-Design.ca">http://www.3D-Tile-Design.ca</a> . Tile, stone and countertop projects might not sound especially complicated, but they can be surprisingly hard to get right. Seeking expert assistance can help homeowners save time, money and frustration. Contractors who specialize in this field are trained to install and repair tile and stone surfaces in your West Vancouver home, from flooring to backsplashes, as well as countertop materials such as solid surface, granite and marble. In addition to basic surfaces, many West Vancouver, BC tile, stone and countertop contractors can create and install murals and mosaics, as well as add decorative edge treatments to countertops. They also repair or replace surfaces in the event of chips, cracks, stains or other damage. Many tile, stone and countertop professionals also install shower pans, radiant-heat flooring systems and other common components of surfacing jobs, often working in tandem with West Vancouver, BC plumbers or other professionals. Here are some related professionals and vendors to complement the work of tile, stone & countertops: Interior Designers & Decorators, Architects & Building Designers, General Contractors, Kitchen & Bath Designers, Design-Build Firms. Find a tile, stone and countertop contractor on Houzz. 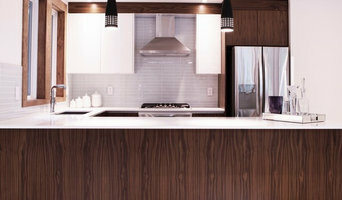 Narrow your search in the Professionals section of the website to West Vancouver, BC tile, stone and countertops. You can also look through West Vancouver, BC photos to find tile, stone and countertop projects you like, then contact the contractor who worked on it.